South Russell consists of four square miles in Geauga County with a population of over 4,000. The main street running east/ west through the center of South Russell is “Bell Street”. You can find many of the neighborhoods branching off this main street as you drive through the village including Kensington Green, Lake Louise, and Paw Paw Lake just to name a few. Several lakes can be found within these housing communities and often you pay a small annual fee for you and your family to enjoy the lake for swimming, kayaking, etc. 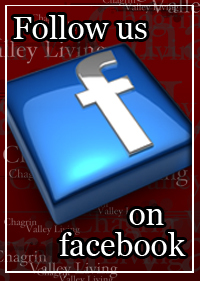 South Russell Village is located 20 miles Southeast of Cleveland with easy access to Route 306 and Route 422. The houses range in price from $200,000 to over 1 million. The main street running east/ west through the center of South Russell is “Bell Street”. You will find many of the neighborhoods branching off this main street as you drive through the village. Several lakes can be found within these housing communities and often you pay a small annual fee for you and your family to enjoy the lake for swimming, kayaking, etc. In addition to single family homes, South Russell is also home of the Whitetail condominiums located on beautiful cul-de sac roads within the Whitetail housing community. 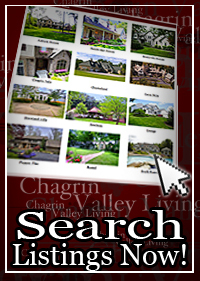 A complete list of these popular housing developments can be provided courtesy of The Chagrin Valley Living Team. Homes currently for sale from $150k to 1 million. Contact us for a private showing of South Russell Homes for Sale.